"I'm just trying to be nature and nature looking. This makes me feel comfy and down to earth. This is just what I felt like wearing today." 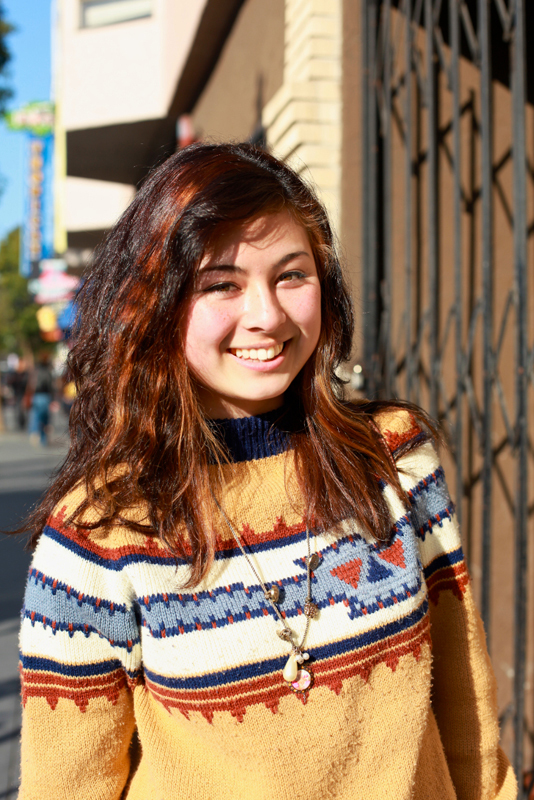 Cute girl with freckles in a "Navajo" design knit sweater. Boat shoes with a twist. 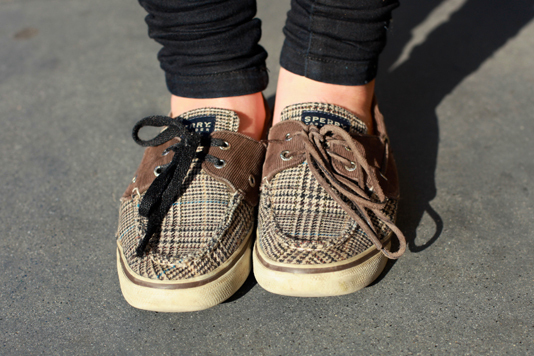 where can i find those sperry's! ?